I tell ya, this beauty blogging lark could be a full-time job…if I didn’t already have a (really rather busy) full-time job already, that is. Which is why to my great sadness I had to miss the Arnotts AW14 fashion show yesterday – and I do love a good fashion show, as my excitement in my latest vlog plainly shows. 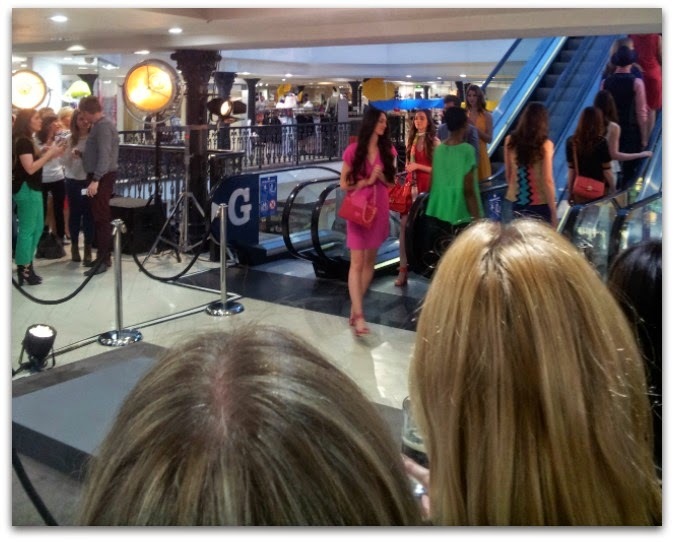 But it set off little reminder bells…wasn’t there an Arnotts fashion post already coming down the line? Well, kinda… Emily, take it away! 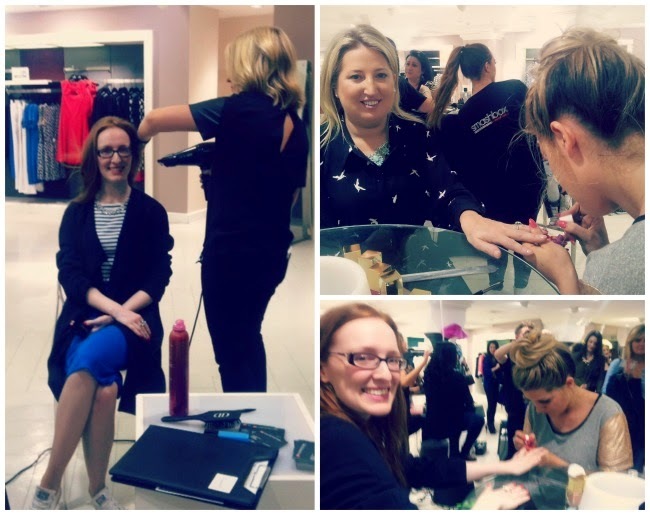 While Mr and Mrs Fluff were off on their holliers, meeting monkeys and flyboarding in Tenerife, Emma made the very wise (read: questionable) decision to send myself and Allsun to cover the Fashion Insider event at Arnotts, in her absence. Now, you guys have seen us around these here parts before, Allsun and I know how to attend an event and write a blog post, but for whatever reason, this particular time seemed doomed to go awry. When we arrived we were given a fashion show programme, and spotted some pamper stations to get our nails, make-up and hair done. Sounds amazing right? We thought so too. So over we go to queue up, for what we thought was a production line. The models leaving - and people's heads. Ironically, while standing in line with our backs to the fashion show, we were admiring the clothes on the rail beside us. 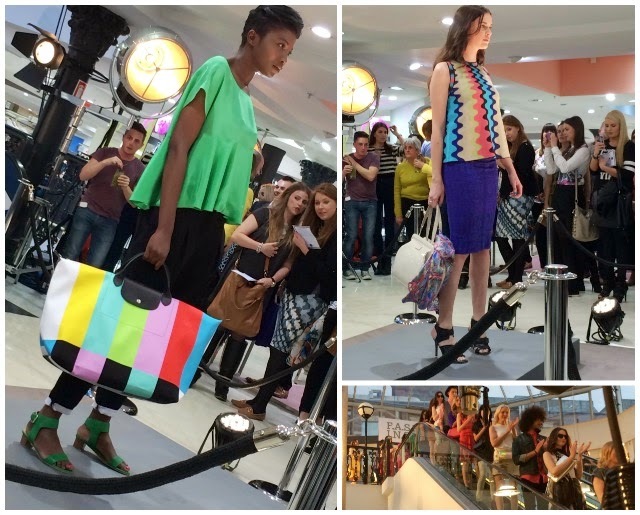 This is what we missed – photos kindly supplied by Arnotts, after the fact (along with the very top pic). But we did manage to get our nails done by the fabulous Pamela Laird - and I got my hair styled by Bumble and Bumble. Unfortunately, we were too late to get our make-up done by SmashBox. Although it did take us far too long to realise that fact and with Allsun planting herself in the seat for about 20 minutes, it may have looked like we were staging a protest. We weren’t. We’re just idiots. But, on the way out we were given some products of SmashBox’s to try out for ourselves so that makes up for our stupidity. Kinda. Reviews of those will be headed your way soon.